Trask’s Historical Linguistics, Third Edition, is an accessible introduction to historical linguistics – the study of language change over time. This engaging book is illustrated with language examples from all six continents, and covers the fundamental concepts of language change, methods for historical linguistics, linguistic reconstruction, sociolinguistic aspects of language change, language contact, the birth and death of languages, language and prehistory and the issue of very remote relations. a brand new companion website featuring material for both professors and students, including discussion questions and further exercises as well as commentaries on the exercises within the book. 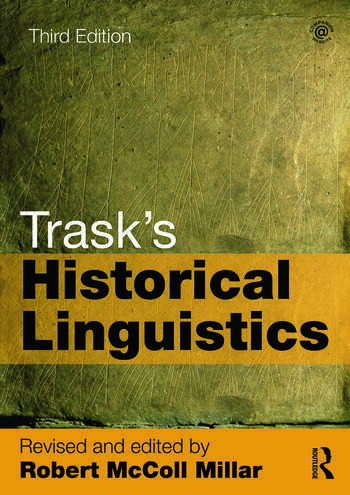 Trask’s Historical Linguistics is essential reading for all students of language, linguistics and related disciplines. Robert McColl Millar is Professor in Linguistics and Scottish Language at the University of Aberdeen. His most recent books include English Historical Sociolinguistics (2012) and (with William Barras and Lisa Marie Bonnici) Lexical Variation and Attrition in the Scottish Fishing Communities (2014). Larry Trask was Professor of Linguistics at the University of Sussex and an authority on Basque language and historical linguistics.